It’s the beginning of 2015, and here at Diehard GameFAN, that means looking back at the best of 2014 by handing out our yearly Tabletop Gaming Awards. I have to admit, 2014 was filled with a lot of great releases, be they pen and paper RPGs, tabletop miniatures or card and board games. Long delayed projects like Robotech RPG Tactics and Call of Cthulhu Seventh Edition were finally released (Still no Deluxe Tunnels & Trolls though!). We saw all sorts of new games, like Pirates & Dragons, Spooks, The Strange, Atomic Robo RPG and Valiant Universe. This was perhaps the best year FATE has had since its release. Shadowrun, Pathfinder, Numenera and Dungeon Crawl Classics continued to add to their impressive catalogs, ensuring fans of those games would have more content to pore through and fall in love with. We reviewed a whopping 208 releases this year, and that was only a drop in the bucket as to what actually came out! Perhaps the biggest aspect of 2014 for Tabletop Gaming was two of the more venerable systems out there had amazing years after being looked at as past their prime, and perhaps even with a bit of disdain. If you had told me 2014 would be the year of Dungeons & Dragons and Warhammer Fantasy at the end of 2013, I probably would have laughed. I loved D&D Next, but so many people seemed poised to hate it before it was even released due to their dislike of Fourth Edition and/or their zealous love for an older version of the game, that I wasn’t sure if it would be a success or the second edition of the game in a row that many gamers turned their nose up at. Thankfully, that proved not to be the case. Even longtime stalwart fans of 1e admitted that Dungeons & Dragons, Fifth Edition was pretty good for what it was. Was it perfect? No, but it succeeded in returning a lot of people to the fold who left with the end of TSR or the end of the D20 days. Many of us here at Diehard GameFAN have had an absolute blast with D&D 5e, and judging from reader comments, most of you are too. When we did a poll of readers on the site asking you what your favorite game of 2014 was, listing 20 different options, a whopping 38% of readers chose D&D 5e. The next highest was 9% – a tie between Pathfinder and Numenera. That kind of dominance was something akin to the 1e/2e AD&D days of the game, and here is hoping Wizards of the Coast can keep this momentum and love for the game going. Warhammer Fantasy was something I personally fell in love with in the mid 90s. I had Bretonnian and Lizardmen armies, but as the years went on, my enthusiasm for the game dried up and Warhammer Fantasy because something to put together (if that) rather than play. Judging from sales of the game, I know I’m not the only one. Games Workshop, however, decided to give the setting a complete facelift, and I’m not talking about the mess that Storm of Magic became. No, Warhammer Fantasy became Warhammer: The End Times, and it was a success beyond even GW’s wildest dreams. Books sold out in MINUTES. People returned to the game for the first time in years. The new models like Nagash, Spirit Hosts, Glottkin and more were all terrific. Best of all, the quality of the books were like nothing we had seen before from Games Workshop. The quality of the writing, art, and storytelling were the best I’ve even seen from the company on any of their lines. This was a complete turnaround for the game and considering the majority of comments here and on other sites like Bell of Lost Souls and DakkaDakka have been overwhelmingly positive, I think it is safe to say that like D&D 5e, Warhammer: The End Times has been something of another golden age for one of the oldest games still on the market. 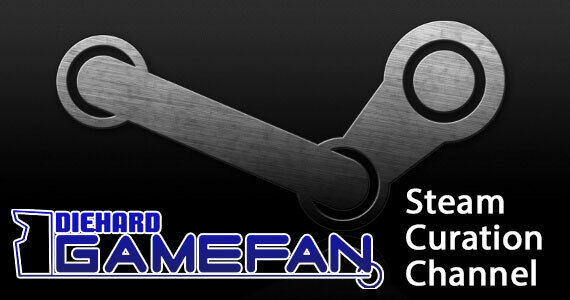 So here we are, and most importantly here THEY are: The Diehard GameFAN 2014 Tabletop Gaming Awards. Just remember these are OUR awards, which means these are the products and releases we thought were the best of the best in 2014. It is our hopes that you’ll either agree with us, or be inspired to pick up something that sounds unfamiliar or interesting. That said, it’s perfectly fine if you disagree with any of our choices or haven’t even played some of the winners and/or runner-ups. Of course, if that’s the case, you could always join the writing staff here at Diehard GameFAN and let your voice be heard in next year’s awards. Now, on with the show! It’s worth noting that The Doom That Came to Atlantic City isn’t just our pick for the best board/card game of 2014 because it’s a lot of fun, but because it has the most interesting story out of any game released this year. The story begins back in 2012 when a company called The Forking Path brought together Lee Moyer, Keith Baker and Paul Komoda to give us a Monopoly called The Doom That Came to Atlantic City. The Kickstarter was well run and it was extremely successful. 1,246 people pledged over 122,000 USD for the game and it was on tap to be a major success. Unfortunately, it turned out that the person behind the project, Erik Chevalier, was a scam artist and pocked away the money, leaving the creators and the pledgers without a game. It appeared that The Doom That Came To Atlantic City was going to be one of many cautionary tales about trusting unknown people and/or companies on Kickstarter. Crowdfunding is venture capitalism, not a pre-ordering system after all. Then something amazing happened. Cryptozoic Entertainment picked up the rights to the game and planned to publish it themselves, so the game would at least see the light of day. Yay for that, but what about the twelve hundred people who were out a fair chunk of disposable income? Well, in what might be the most heartwarming story of the year, Cryptozoic Entertainment gave every backer a free copy of the game. They did not have to do this. There was no legal obligation to do this. It would cost them a lot of money to do this. They did it anyway, making a happy ending for everyone involved with this once infamous project. That act of pure kindness alone deserved Cryptozoic some sort of mention in this year-end review, but it turned out that The Doom That Came To Atlantic City was an amazing amount of fun too. The game was easy to learn, had some real laugh out loud moments, was well designed and the miniatures used for the game are amongst some of the best Cthulhu Mythos sculpts I’ve ever seen. Yes, The Doom That Came to Atlantic City wasn’t just the best board game we played in 2014, but it was also a great reminder of what a close knit and kind hearted community tabletop gaming tends to be. Whoever though that something involving Great Old Ones ransacking a city would be the most heartwarming tale to come out of our industry this year? This was a terrible year for tabletop gaming magazines. Magazines of great quality like The Unspeakable Oath, Gygax Magazine, The Arkham Gazette, Adventure Quarterly and more only got a single issue out in 2014. Long gone are the days when you could reliably get a physical copy of a tabletop magazine from your local newsstand or mailed to your home on a monthly or even quarterly basis. No, in 2014 only TWO magazines came out with regularity. The first is Rite Publishing’s Pathways. The second is Games Workshop’s White Dwarf. The latter won the award easily this year, because not only did it come out regularly, but it came out WEEKLY. A weekly gaming magazine? In 2014? This is unheard of at any point in our industry, and the fact GW did it so flawlessly means it was a shoo-in for this award. Besides the switch to a weekly format, White Dwarf also dramatically improved the content of the magazine. 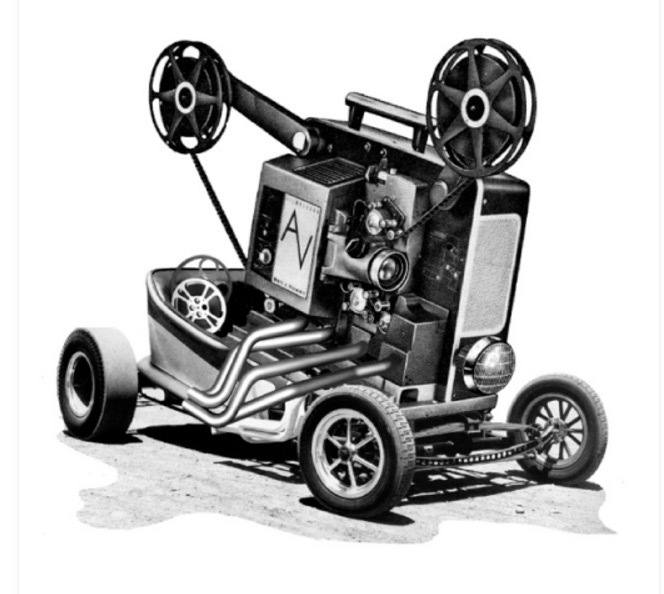 For many years, detractors would point out that the magazine had become little more than advertisements for upcoming models and sourcebooks that you paid for. Well, not so much anymore. Sure, there’s the soft selling of next week’s releases in the magazine, but the majority of the magazine has become articles worth reading. It’s been giving away full data slates, stats for miniatures without having to purchase an updated army book, missions for Space Hulk and even full on supplements like the recent two part “Cities of Death” cards and a thirty-six page rule guide for The Hobbit. Add in some occasional short pieces of fiction, some excellent painting tips and a huge increase of articles that are actually substance rather than sales pitches and White Dwarf has definitely had a renaissance in 2014. Is it still a house engine for a single brand of tabletop gaming? Of course it is, but aside from Gygax Magazine, pretty much EVERY gaming magazine can be considered as such. What matters is that, in 2014, when everyone else stumbled, White Dwarf actually stepped up their game, listened to the criticism it had received for years and reinvented itself from something I might pick up once every few YEARS to something I now regularly get when I am out. Quality articles and high full colour production values for only $3.99 an issue? There’s really no denying that White Dwarf was the clear choice for this award. So let’s talk about this year’s winner. I have to admit, even though I’ve been paying attention to Warhammer in both its fantasy and 40K forms for years, I’ve never been a fan of the fiction side. Every novel, short story or novella I picked up with the Warhammer branding tended to be poorly written, rambling and just rubbish. Obviously I can’t condemn the entire line because I haven’t read every book, but I read enough to know that I just did not care for fiction with a Warhammer branding. All that changed this year. Much like the amazing turnaround we saw with White Dwarf and the tabletop side of Games Workshop, the fiction releases this year, especially for the fantasy side were incredible. The Return of Nagash ended up not only being the best Warhammer fiction I’ve ever read but the best tabletop fiction release of 2014. What made the novel so great? Well, the writing obviously. Unlike most Warhammer novels where you are expected to know the most cursory detail of even minor character before the book even begins, Josh Reynolds wrote a tale that was exceptionally welcoming to newcomers. I could give this book to my wife who knows absolutely nothing about the game and she would have no problems knowing what had occurred once she finished. Everyone got a bit of back story and exposition – no small feat considering the book covered EVERY SINGLE FACTION IN THE GAME… except my Tomb Kings and Lizardmen. Hey, at least Bretonnia got some page time! Each faction was handled quite well. Even people who were created simply to die horribly in this 400+ page novel were nuanced and given depth to their personality where most books might make them two dimensional throwaways. The book made you actually feel sympathy and care for some of Warhammer‘s most evil characters. When you find yourself viewing unrepentantly evil beings like Manfred Von Carstein and Arkhan the Black as the good guys in a novel (much less rooting for them! ), you know the writer has done his or her job and then some. The novel was the start of MANY huge game changing events for Warhammer: The End Times, with a lot of big name characters being killed off and the entire setting changing to its very roots. I had trouble putting The Return of Nagash down, and really only did so because I had work to do and other products to review. The Return of Nagash pretty much embodied every bit of fluff that I love about Warhammer – now in novel form. Out of everything that came out for Warhammer: The End Times this year, The Return of Nagash was my absolute favorite release and was by far the biggest factor for rekindling my love for the game. Every book in the winner’s circle and honourable mention could have easily taken this award in other years. They all just happened to hit in 2014. The fact I can say The Return of Nagash was the definite easy choice tells you just how great this novel was. It’s almost as if this award is becoming a running joke at this point. For the third year running, a Shadows of Esteren release has won our “Best Art” award. Anyone who is even remotely familiar with the game is not surprised by this because let’s face it – Nelyhann has assembled the absolute best team of artists currently in the tabletop industry for Shadows of Esteren, and it could easily be argued it’s the best overall artistic talent in the history of our industry. Every piece of art in this supplement/adventure combination is simply sublime. Whether it is pictures of daily life at the monastery to character sketches, every single picture you will find in this fifty page piece is something you’ll want a print of – if you’re into that. Some of the pictures have that Pickman-esque quality, where you could swear they were drawn from life. There are two pictures in the book that might be my most favorite of the year. One is of two cloaked horsemen heading to the gates of the monastery, and the other is of two people post-hanging. They’re so very different but the art is just so phenomenal. Shadows of Esteren is worth purchasing just for the art, even if you never play the game proper, and The Monastery of Tuath continues to follow the same trend. Art is such a subjective thing that doing an award for it can be quite hard. After all, you might really like Timothy Bradstreet or Larry Elmore and someone else might absolutely hate their art style preferring a Rob Liefield type. 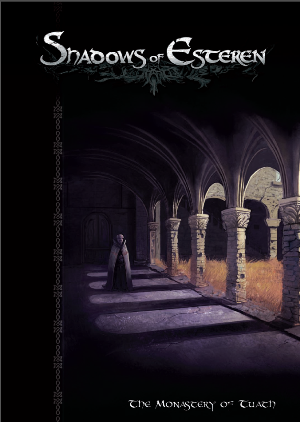 One thing is for sure though, when you show a book like Monastery of Tuath to multiple people and they all have the same reaction of, “Good god, that thing is gorgeous,” well, you have a pretty good indication of what release deserves the award this year. With Occultism and Ghost Stories potentially coming out for Shadows of Esteren in 2015, you have to wonder if the game can take this award a whopping four years in a row. For the third year in a row, we have the great pleasure of being granted an award for “Best Art,” given by the Diehard GameFAN website. This is an honor and a privilege, especially for a small French RPG. However, given the current situation in our country, we cannot help but receive this reward in a special way. Indeed, working on fantasy gaming worlds, on horror and ambivalence–like we do–is only possible in a society where freedom of expression is guaranteed. We may not be on the forefront of the matter, but we are still direct beneficiaries of such a policy. All activities related to creation or teaching are likewise concerned. For this reason, we wish to dedicate this prize to the illustrators and all the people who were murdered on January 7th in Paris at Charlie Hebdo. This isn’t much, but this is our way of expressing our gratitude and respect toward those who have defended and keep defending these fundamental values. You know a book is something special when it comes out in January and remains the front runner for an award all year long. Such is the case with The Book of Familiars. This book not only stays true to the OSR look, feel and experience, but at the same time, it gives us an entirely new twist on the concept of familiars. Let’s be honest, most of the time familiars are a concept that is often overlooked by gamers and certainly underplayed by those who make wizards. The same could be said for animal companions of druids and rangers. Even the Paladin’s special steed often times is just kind of there in the background getting little attention from its owner or the person running the game. Well, The Book of Familars takes this underutilized aspect of an animal sidekick and turns it into something completely new. 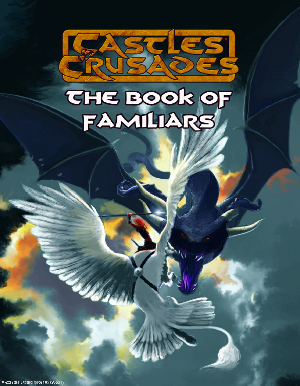 Whether it’s creating a concept of familiars/animal companions for each of the twelve classes in Castles & Crusades or ways to specifically customize your familiar based on the character’s personality and/or animal choice, The Book of Familiars was simply fantastic. Too often writers and publishers of OSR games seem to feel like they must be 100% true to the late 70s and 80s mechanics and writing, which means a lot of releases done in this style become a bit derivative. The fact Troll Lord Games could release this book with an entirely new take on a concept that has been around since the earliest days of the industry and make it feel (and look – the art is a lot of fun) like an old school release shows some really innovative thinking from the people putting out Castles & Crusades. OSR doesn’t have to just be mega-dungeons or the same old TPK attempting adventures. Let The Book of Familiars be your guide to just how outside the box you can still be with your OSR releases. In terms of remakes and re-releases, the best products were dominated by Cthulhu Mythos releases. In fact, the entire winner’s circle for this award is made up of pieces that involve the Great Old Ones in some way, shape or form. Heck, second and third place both feature a cat version of the Cthulhu Mythos. Between these and The Secrets of Catsfor FATE, 2014 was a terrific year for cat based products! Still, even the tag team of Call of Catthulhu in its new impressive deluxe boxed set form and a retooling of the classic Catthulhu weren’t enough to overtake this year’s easiest choice for an award winner – the remake of Horror on the Orient Express for Call of Cthulhu, Seventh Edition. 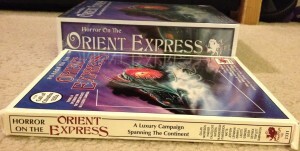 In its original form, Horror on the Orient Express is often listed as one of, if not the best, adventures/campaigns ever published. 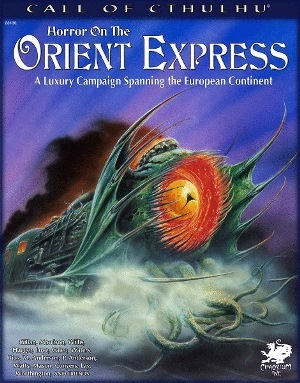 So in 2012 when Chaosium launched a Kickstarter to remake Horror on the Orient Express complete with new art, more content and a whole bunch of bells and whistles, I have to admit I was skeptical as to how they would top the original. Well, if you’ve been reading the previews, reviews and unboxings I’ve posted here at Diehard GameFAN over the past year, you know that Chaosium not only succeeded in their goal, but they just might have created the most immersive gaming product ever. Want a real life Medallion of Ithaqua? It’s here. Want a menu, napkins, placemats and other dining guy ancillary items? They exist. Luggage tags, passports, a soundtrack, miniatures, a massive tome of handouts and more are now available for Horror on the Orient Express. Of course knick-knacks and ancillary swag do not make for a great product. No, it’s content that is king with a RPG product, am I right? Well, Horror on the Orient Express has that too. There are a few new added stops on the journey, including a new potential ending. Old familiar portions of the campaign have been retooled, expanded and updated. The word count is now something like 700,000 words. Some adventure segments have four times the page count as the original version thanks to expanded commentary, more side quests and extra art. It’s no wonder that Horror On the Orient Express is more than double the size of the original! With the remake and re-release of Horror on the Orient Express, Chaosium has opened an entire new generation of gamers to one of the best products ever released in our industry. With more content, more ancillary options and two decades of hindsight to allow the overall product to made into something even better, it’s no surprise that Horror on the Orient Express steamrolled over its competition this year. If you weren’t one of the thousands that took part in the Kickstarter for this remake, don’t miss out a second (or third) time on this campaign. Go buy this and see why even non Call of Cthulhu players have spoken of Horror on the Orient Express with such reverent tomes over the past few decades. It really is THAT good. I think my favorite era for comic book roleplaying games was when TSR had their Marvel Super Heroes RPG, Mayfair had their DC one and Palladium had TMNT and Other Strangeness. If you were primarily a super hero RPG gamer, this was arguably the golden age for you. Well, 2014 was a pretty terrific year for super hero games too. Besides the usual releases for ICONS, Hero System, Villains and Vigilantes, and more, we were treated to two very big name comic book RPG releases. One was Valiant Universe‘s first foray into the RPG world, courtesy of Catalyst Game Labs. I really liked it but I can see why others didn’t. The other was Atomic Robo – an indie comic put out by an indie publisher in Evil Hat. The combination ended up being something amazing – which is probably an obvious statement considering it walked away with this year’s “Best New Game” award. I’ll admit, I’ve been a fan of the Atomic Robo comic for years. I have every trade and FCBD issue in my Comixology account. The writing and adventures remind me of my beloved Justice League International and it’s by far the funniest comic on the market today. I’ll also admit that up until this year, FATE, either Core or Accelerated, hadn’t done much for me up until 2014. The system was interesting but the releases were all over the place quality-wise. Not so with Atomic Robo. It was like FATE was meant to be used in conjunction with a comedy sci-fi RPG like this. The combination of the two was the perfect zeitgeist and I can honestly say that Atomic Robo was the most fun I’ve had reading a RPG core rulebook this year. Trust me, when you read dozens of these 3-400 page books in addition to several hundred other supplements and sourcebooks, it can be grueling to get through some of these, especially the badly written ones. Not so with Atomic Robo. It was so well written, laid out and designed that it was delight to read. Playing it was just as great! Most role-playing games that make use of a comic book license of super hero setting don’t actually feel like the comic book. That’s not a bad thing, but I was astounded at how much playing Atomic Robo felt like reading/acting out the comic book. Adventures basically wrote themselves and the snark that came from player’s mouths actually felt like things their characters would say in four color goodness. Atomic Robo was a delight in all ways possible. It was an exceptionally easy game to teach to newcomers. The rules were easy to follow and digest. Heck, it even used specific moments (and panels) from the comics as rules examples. When you can convert a comic sequence into mechanics (or vice versa) this flawlessly, you know you’ve stumbled onto an amazing combination. Honestly, Atomic Robo: The Role Playing Game is the best use of FATE I’ve seen in either of its forms. It’s one of the best core rulebooks of 2014. It’s definitely the best new game of 2014 and even if you’re not familiar with FATE or the Atomic Robo comic series, this rulebook will make you a fan of both. It’s simply a terrific RPG on every level and one well worth tracking down. Everyone likes freebies, right? Well, the tabletop industry has a lot of offerings if you know where to look. Websites like DriveThruRPG.com is filled with hundreds, if not thousands of options if you know where to look. For those wanting something in print, Free RPG Day always has fantastic offerings for games like Godsfall, the Pathfinder Adventure Card Game, Mage: The Ascension and more. This year’s winner of our “Best Freebie” came from a different source entirely – Wizards of the Coast. WotC isn’t necessarily known for their free offerings, but with the release of Dungeons & Dragons, Fifth Edition, they released several free offerings in order to let new, inexperienced and lapsed gamers see if D&D 5e was worth their disposable income or not. Basic Dungeons & Dragons was a thing of pure beauty. The Player’s Basic Rules were 115 pages long and gave you everything you needed to essentially play Dungeons & Dragons, Fifth Edition. Now you didn’t get everything that would be in the Player’s Handbook – not by a long shot, but you could take the Player’s Basic Rules, give them to someone who had never played any RPG before and after reading, they could design their own character and have a rudimentary idea of how to play D&D 5e. With the Player’s Basic Rules you could make a Dwarf, Elf, Human or Halfing and had character classes choices of Cleric, Fighter, Rogue and Wizard. Sure you couldn’t make a Gnome Paladin or Mul Necromancer, but so what? Wizards of the Coast gave away 115 pages of D&D for free. Spells, equipment, stats, mechanics and character creation were all here for the taking and IT WAS FREE. How cool is that? If that wasn’t enough, Wizards of the Coast followed things up a few months later with the Dungeon Master’s Basic Rules. This was another, smaller free release to let anyone get a taste of what the eventual DMG would feel like, in addition to giving you a way to DM the game until either the book came out or you could afford to buy it (depending on your situation). This sixty-three page supplement was actually misnamed as only half a dozen or so pages were devoted to DM advice and tips. The rest was essentially a free Monster Manual which for many gamers, especially experienced ones, was a far more valuable freebie than a slice of the DMG. With both freebies you could essentially run a scaled down version of D&D 5e without spending a penny. Again, your choices would be limited, but if you didn’t have the cash you could still play D&D 5e without feeling left out. It was also a great way to try (and get hooked) without buying, especially for those skeptical of the new edition or those who wanted to firmly cling to a previous version of the game. Now they could try it – for free – and see if it was worth investing in. This was a HUGE risk on Wizards part, especially after their market share well during Fourth Edition, but it definitely paid off for the company big time. Not only did Basic Dungeons & Dragons help bring in gamers into the fold that were previously on the fence or had no interest in buying a new version of D&D, but it was an amazingly well done one-two punch of free PDF offerings the quality and magnitude of which we haven’t really seen in this industry before. So yes, there was little doubt that Basic D&D would be walking away with this award. 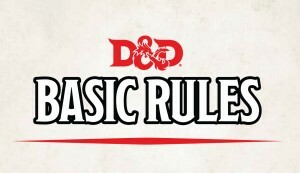 By the way, if for whatever reason you still haven’t downloaded Basic Dungeons & Dragons, here are links to The Player’s Basic Rules and the DM Basic Rules. My god, this was a great year for miniatures. We got some great new sculpts for everything from Batman Miniatures Game to Warmaster. Mantic Games had several successful Kickstarters. Games Workshop gave Warhammer 40K and Fantasy fans some fantastic new sculpts for everything from a new Nagash to some fantastic Tyranids. This year’s winner of our “Best Miniatures Line” award isn’t of any figures though. Instead we’ve chosen to go with Dwarven Forge’s Cavern Tile line. This line of tiles raised over TWO MILLION DOLLARS on Kickstarter with nearly 4,000 people pledging. The end result was a wide range of tiles that could create a fantastic underground scene for your tabletop miniatures, be you a wargamer or a pen and paper RPG fan. The tiles are exceptionally sturdy (made of Dwarvenite, don’t you know), the paint doesn’t flake off unless you really try to mangle one, and the detail on each tile is simply amazing. My wife, who isn’t a gamer at all, absolutely loves these tiles and will just sit down and make little cavernous dungeons out of these for hours on end. Truly, these are the best miniature scenery line I’ve ever seen and there are some great options out there. 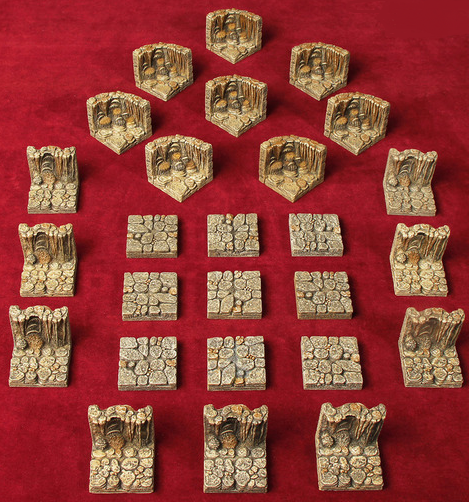 We reviewed the basic tile set, the lava river set, the lava cavern set, the water cavern set, the wicked addition set and the elevation set here at Diehard GameFAN and each set was expensive, but well worth the investment if you use miniatures at your gaming table in any form whatsoever. Besides the tiles that we reviewed, this line also includes packs like an ice chamber and a narrow passage pack. One set of tiles is enough to make a small encounter while several sets can create an insane sprawling dungeon that takes up a good chunk of your living room. Sure, I enjoyed my Robotech RPG Tactics figures, had fun with D&D Attack Wing and loved painting my new Spirit Hosts with glow in the dark paint and turning them into the pirate ghosts from A Garfield Halloween, but for sheer quality, nothing beat the Dwarven Forge Cavern Tiles this year. These things look great online but seeing them in the “Flesh?” Man, this is one of my favorite miniatures lines of all time. I’ve used them with everything from a Guardians of the Covenant vs Crimson Slaughter battle to playing a game of my beloved (and defunct) D&D Minis games with them instead of a paper map. These tiles are as versatile as they are beautifully sculpted. If you really want to make your battle scenes come to life, I strongly suggesting trying some of these instead of the usual battle board of diorama pieces. You won’t be sorry. 2014 was a great year for miniatures, but one could easily make the argument that the books supporting them were even better. Warhammer 40K gave us Shield of Baal. Corvus Bell gave us Infinity, Third Edition and even gave the book away (digitally) for free at the tail end of the year! Privateer Press released some new books for their lines and of course Warhammer: The End Times gave new life to the fantasy side of Games Workshop. Hell, Khaine sold out in ten minutes online, a record for not only Games Workshop but perhaps any product in the tabletop industry. Of course, even if you’re not a fan of Games Workshop or Warhammer Fantasy, it’s impossible to deny the obvious winner of this year’s award – Nagash. Nagash was the first, biggest and perhaps best release for Warhammer: the End Times. This two book hardcover slipcase set (later reprinted in softcover) was one of the biggest gamer changers we saw this year. Not only did this book boast some of the best art ever to appear in a Games Workshop book, but the story it told was incredible too. Filled with multiple “Holy SH*T, I can’t believe they did that!” moments, Nagash saw many classic long time Warhammer Fantasy characters die horribly, some character rose from the dead and all sorts of new alliances began to forge. The end result was the biggest change we’ve ever seen to Warhammer Fantasy and unlike a certain other retconned out storyline, this was looks like it will stick. So you have a gorgeous product with the highest production values we’ve ever seen from a Games Workshop release AND a wonderfully told story that seemed to infuse even the novel tie-ins with a higher level of quality. This book alone would probably have won Nagash this award. Nagash however is a two book set. The second book is much smaller in size and scope, but also pretty impressive in its own right. Nagash Book II not only gave you quite a few really fun scenarios to play through but the new rules had a huge impact on the game. You had concepts like haunted terrain, the merging of Tomb Kings and Vampire Counts into a new “Undead Legions” army), some new statlines for old favorites like Krell and Vlad Von Cartsein but a set of fantastic new miniatures which were some of the best figures put out for any line this year. The new Nagash, the Mortarchs and the brand new Spirit Hosts (the original were some of the ugliest models ever) made people throw money at Games Workshop that had long ago abandoned the company and/or its product lines. 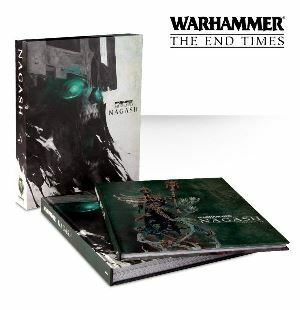 Nagash was so unbelievably successful that it set the tone for The End Times releases as a whole and even influenced Warhammer 40K releases like Shield of Baal. When was the last time you could say that? Warhammer: The End Times really revitalized Games Workshop, Warhammer Fantasy and to a degree, the wargaming/miniature side of the tabletop industry across the board. We will no doubt continue to feel its effects as The End Times continues into 2015 and it all began with Nagash. Years from now we’ll still be talking Nagash and its impact will still be felt. It’s not often we can say that. Kickstarter has been a huge blessing for the gaming industry, but it’s not the only form of crowdfunding produced successful, quality tabletop releases. Lamentations of the Flame Princess regularly uses Indiegogo and in 2014, Evil Hat productions made excellent use of Patreon, where you pldge a certain amount of money a month or per adventure (depending on what is being funded). So far it’s given us some really fun settings and supplements, including the winner of this year’s award, The Secrets of Cats. Now I’m not a dog or a cat person – I’m a rabbit person, but I absolutely adored The Secret of Cats. It made excellent use of the Fate rules system (Core, not Accelerated), had some of the best artwork I’ve seen this year (alas, not enough of it though), a great explanation of how to use this supplement to make cat characters for Fate, an excellent campaign setting with the rules being better explained here than in some core rulebooks, and a really detailed magic system. There is a fun adventure and even a quick look at some animals other than cats. All this crammed into fifty-two pages with a budget of under $3,000. Seriously. There sheer quality that emerged from such a low budget still boggles my mind when I think of it. The most incredible thing of all? 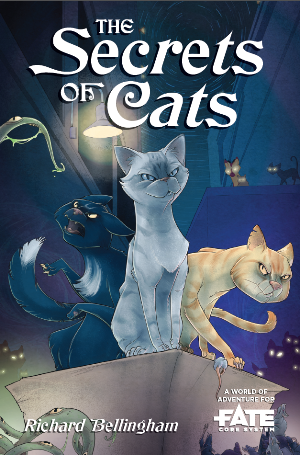 The Secrets of Cats is a “Pay What You Want” release to the general public, meaning you can get it for nothing if you are really that hard up for cash, or you can pay as much as you want to support the release of say, a physical version with expanded content. Maybe then we’ll see the awesome herbivore magic rules the author Richard Bellingham came up with in response to my review. Seriously, how often does that happen? A critic says, “I’d love to have seen this too,” and then the writer goes out and makes it happen for the general public as an addendum (it can be found both in my review and on the author’s blog. 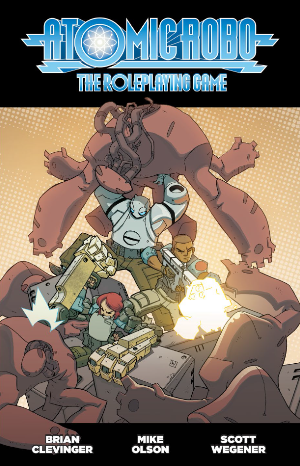 Now I just wished I had asked for the concept to get a full core rulebook treatment ala Atomic Robo! It’s been a terrific year for FATE and for games featuring cat based protagonists and The Secrets of Cats is a wonderful blend of both. As a supplement, you will need to get the core FATE rulebook before you can use (or make sense of) The Secrets of Cats, but it is well worth it and then some. Man, this was a really good year for Monster Manuals. We had a fantastic won from Dungeons & Dragons, Fifth Edition that almost won this award. The 13th Age Bestiary was top notch. Castles & Crusades saw a new full colour version of their Monsters & Treasure book. It’s easy to see why Bestiaries were the best sourcebooks of 2014 and they certainly dominated the competition for this award enough that we considered a “Best Bestiary” award. However, it’s rare you get this many manuals devoted towards creatures and antagonists all coming out in the same year. So it was decided to leave the bestiaries where they are and let them dominate this one time. So why did Numenera?’s The Ninth World Bestiary eke out a win this year? Well for one big reason. While the 5e Monster Manual and Numenera both had fantastic art, high quality production values and wonderful write ups of their fiendish thingies, we went with the Ninth World Bestiary due to three things it had that the Monster Manual did not – creativity, innovation and originality. In the end, as awesome as the Monster Manual was, it was just an update of the same old creatures we see with every edition of D&D, now with 5e stats. That’s not a bad thing at all, it’s just stating a fact. Meanwhile Numenera (winner of last year’s “Best New Game” award) is still a brand new game without any preconceived concepts about what inhabits the ninth world except THINGS THAT ARE WEIRD. There have been a few monsters listed here and there like in the core rulebook and with some adventures, but The Ninth World Bestiary was the first attempt by Monte Cook Games to really categorize life forms that you’ll find in a game of Numenera. This was their one real chance to come up with creatures that can be their own Mind Flayers, Beholders, Zentraedi, Sabbat Vozhd, Deep Ones, Harlequin or some other comparison to an iconic creature/NPC from other games. Well, Monte Cook games succeeded big time. Almost a full year after The Ninth World Bestiary‘s release, I’m still having a hard time decided what my favorite character in the book is and I’ve already got my “PUT CREATURE X INTO TORMENT: TIDES OF NUMENERA” (Torment: Tides of Numenera is an upcoming video game) If you list ready to post whenever inXile Entertainment shows off what they are using as cannon fodder. As fantastic as Numenera has been in the year and a half it has been around, I have found The Ninth World Bestiary is by far the best book to get someone interested in the game. Just randomly turn to a page in the book, show it to one of your gamer friends and wait for them to basically say, “What the heck is that and how do I fight it?” By playing Numenera of course. You can fight orcs and goblins in any fantasy RPG. Every game has it’s own Lovecraftian homage creatures. Numenera however has some of the most interesting, usual and visually striking creatures in all of gaming. Best of all, each creature in The Ninth World Bestiary is more than just a stat block. Every entry gets a full write up, be it ecology or back story. No release for Numenera better showcases just how outside the box and bizarre the Ninth World can be. Honestly, if you can’t flip through this book and not have your imagined piqued…then I don’t know what to tell you, man. This thing is awesome. Numenera is awesome. If you missed out of trying it in the past two years, let Numenera be your new game of 2015. 2014 offered a lot of fantastic published adventures for gamers to purchase, modify and run for their friends. Dungeon Crawl Classics probably had the best overall line of adventures this year, so I do want to give to give them a special shout out here, even if the adventures from that brand didn’t make the Winner’s Circle this year. What DID make it were three very different pieces from three completely different lines. The Banshee of Loch Finnere was the best thing released for Accursed (which seems to have dried up in the latter half of 2014) and was a great package, with a storyline reminiscent of the 2e AD&D Ravenloft campaign setting and some fantastic art. For Rent, Lease or Conquest was a highly original adventure and one of the best comedic adventures we’ve seen in a long time. It was outside the box and showed just when you think Pathfinder adventures are getting derivative, there is still originality and good times to be had with published adventures for that system. The big winner though was perhaps the most unusual adventure published in a very long time. Moreover, the adventure was as much fun for the GM to put together as it was for the players to run through. Scenic Dunnsmouth was perhaps the weirdest adventure ever released for Lamentations of the Flame Princess…and if you know that game, that’s saying an awful lot. The closest adventure I can come up with that compares to Scenic Dunnsmouth is In Search of the Unknown for Basic D&D way back in 1979. Essentially you had an empty dungeon you could then fill with things from a chart. That’s about all the two have in common though. Scenic Dunnsmouth is completely randomly generated. Everything from the town to its inhabitants to the big bad all come about by hucking fourteen different dice on a piece of paper. Where they land and what comes up determines the makeup of the town. 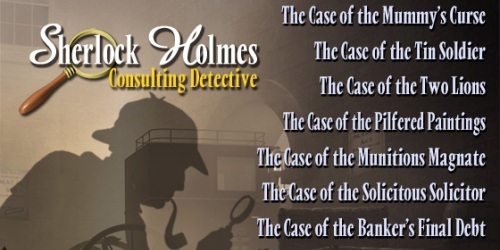 This is fantastically done with each combination giving you a different experience – enough so that the same people can play the adventure and encounter something very different. Add in a deck of cards for further randomization and you have an adventure people will enjoy putting together without ever actually playing the results. That’s pretty crazy. Thankfully though, experiencing Scenic Dunnsmouth from the PC’s point of view is equally awesome. The entire town is in the middle of nowhere and populated with some pretty messed up NPCs. You could spend several play sessions not even dealing with the MacGuffin that drags you to this god forsaken location. The adventure has its hack and slash moments, its World of Darkness talking heads with intrigue moments, its Call of Cthulhu detective bits and of course it’s “So insane it could only happen in LotFP” moments. Words simply can’t express how weird and/or fun Scenic Dunnsmouth is. Even if you don’t play Lamentations of the Flame Princess at all, Scenic Dunnsmouth is worth picking up to read through, to test out from a GM’s point of view or to just have fun with. Scenic Dunnsmouth can easily be converted to other games like Swords & Wizardry, OD&D, Labyrinth Lord and other OSR brands, so the only reason not to pick this up is if you don’t like fun. You do like fun, don’t you? Golden Goblin Games becomes only the second company to ever win an award back to back. Agate Editions/Studio Publishing has done it (three times in a row) with our “Best Art” award and their Shadows of Esteren line. 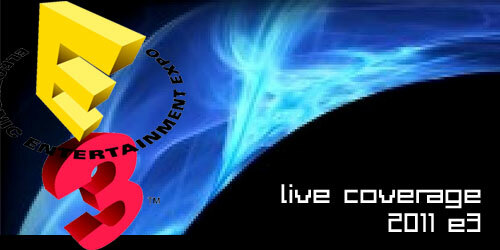 Golden Goblin Games however has now done it with our “Best Adventure (Collection or Campaign) award. Last year they gave us perhaps the best third party release for Call of Cthulhu ever with The Island of Ignorance. This year they did an entire collection of adventures set in 1920’s New Orleans. Tales of the Crescent City was a fantastic collection that proved there is still more to CoC adventures that Shaggi plots to rule the world, surprise Deep One Hybrids or weird antics from Nyarlathotep. There are seven different adventures in the collection, two of which are devoted to The King In Yellow. One is a remake of a classic adventure from 1989 and the other is a sequel to it. Both are fantastic and are definitely the highlights in this collection. Other great adventures include “The Quickening Spiral” where the Investigators are in a race against time to find a cure for a virulent plague and”Song and Dance” where players have to overcome the machinations of Y’Golnac and his odd family of gangsters. The collection isn’t perfect as there are some adventures that are good, but not great and one that is an absolute stinker, but the good far outweighs the bad in Tales From the Crescent City, which is what matters most. Tales from the Crescent City was definitely the best overall new adventure collection of 2014. There is a lot of fun to be had in this collection and if you’re a Call of Cthulhu gamer, you should definitely track this book down. So this was a really weird year for campaign settings. In prior years of the award it was relatively easy to pick a winner. There would be books devoted to a specific setting in which you could place your adventures and/or characters with in-depth back stories, lists of NPCs and so on. This sort of thing started with Greyhawk and went down the line. Even our previous award winners like Vornheim Mythic Iceland and Murder in Baldur’s Gate were books devoted purely to the idea of a campaign setting (Although MiBG had a second adventure campaign booklet as well). 2014 was a year where there wasn’t any pure single campaign setting books of note. Some books like Tales of the Crescent City were collections of adventures with a bit of real world history attached, but that doesn’t really count. There was an attempt to return to classic boxed sets like Ravenloft or Planescape but Cubicle 7’s Cthulhu Britannica Boxed Set , amongst others, won’t be released until sometime in 2015. There were some sourcebooks and supplements that dabbled in the idea of campaign settings but weren’t a traditional look at these concepts. So we very nearly nixed this award for 2014. Instead we decided to refocus the award and go with the best campaign setting in idea rather than pigeon holing things to a single release. All three members of this year’s winner’s circle definitely are things where the whole is greater than the sum of their parts. The Chained Coffin was a good, but not great adventure. However, when combined with the full campaign setting boxed set (thanks to Kickstarter), we got a fantastic boxed set full of four adventures (Like your DCC character will live that long! ), two excellent campaign booklets and a really lovely map done up in the usual terffic DCC style (they have the best maps in the business). While not quite a return to the classic boxed sets of the 90s, The Chained Coffin, was a great modern version of the boxed campaign setting, something that we miss terribly here at Diehard GameFAN. Had it come out before the very tail end of the year (Our arrived on 1/31), it might have placed even higher. Meanwhile the Forgotten Realms, which didn’t get an actual Campaign Setting book this year, was featured prominently in D&D 5e. I was used in The Sundering which had two adventures and three novels this year, and was also where Tyranny of Dragons took place. Toril was definitely one of the most prolific settings written about in 2014 and even though newcomers via 5e might not know what Kara-Tur or Waterdeep are from these releases, they will walk away with a pretty good idea of what the 5e Realms have to offer, who some of the major players are and a good slice of at least the Sword Coast, Thay and other major locations. Our winner this year however, is Shield of Baal. Taking a page from their Fantasy brother, Warhammer 40,000 released a full-fledged campaign this year pitting the alien Tyranids against the ever popular Blood Angel space marines. Unlike The End Times however, we received a definitive beginning and end to the Shield of BaalSpace Hulk), I took note to see if it was worth expanding one or both with SoB releases. The campaign itself was spread through three books: Deathstorm, Leviathan and Invictus. It also had a campaign boxed set with some exclusive figures. If that wasn’t, Shield of Baal spread to a whopping eight different fiction releases, from a novelization of Deathstorm to stories that brought in other armies like the Eldar, Grey Knights and Necrons. While the campaign wasn’t a huge 40K game changer, it was a fantastic one and by far the most memorable setting released this year. With hundred of pages of fluff, dataslates for multiple armies, over two dozen missions to play out (Even with regular gaming, that’s going to take months to finish!) and an insane amount of content to be added stretched over the Shield of Baal releases. This was by far the longest and more impressive Games Workshop has ever released for Warhammer 40K – perhaps forever. With the campaign involving seven different armies it also allowed a lot of people to at least play some of the campaign, if not all of it. That’s a lot more inviting than 40K or Fantasy campaigns have been in the past. Across the board Shield of Baal showed that Games Workshop could break the mold for 40K as it had for The End Times. This campaign sold a lot of minis and a lot of books, but more importantly it reignited the love a lot of 40K players had for the game. I saw Shield of Baal warm the hearts of even the most jaded ex 40K player and at least get them to try/buy some part of the campaign. Still, I have to admit, it is a bit odd seeing Games Workshop walk away with four awards from us this year. The real question is whether or not the company can keep this level of momentum and excitement for their products up. Here’s hoping they can! Well, this is probably not a surprise to anyone. No single release in 2015 was as anticipated at the Player’s Handbook for Dungeons & Dragons, Fifth Edition. Our review of it was the second most read piece on the entire website and the most read tabletop piece we had all year. If that isn’t enough, seven of the top ten most read articles on Diehard GameFAN this year were about D&D 5e. Clearly, everyone was interested in 5e on some level. The good news is that the Player’s Handbook was a smashing success. The mechanics were solid, the art was fantastic, the rules were clearly defined and easy to follow for newcomers, and it was simply well done on every level. People on staff like myself and Ashe who really didn’t care for 4e fell in love with D&D all over again thanks to Fifth Edition – and especially the PHB. Ashe was a diehard 3.5 and I’m a AD&D 2e fan first and foremost (mainly the campaign settings. Oh, so good.) but the Fifth Edition PHB blew us away. Heck, we might even be able to get noted anti-D&D’er Mark B. to try out a session. Heck, some of my friends that worked on the earliest versions of D&D or have an outlook of “AD&D 1e or DEATH” had mostly positive things to say about D&D 5e. Considering how nasty edition wars can get, I was shocked and presently surprised to see how positive even the most negative gamers were to the 5e PHB. The fact so many people loved this book so openly was a sign WotC had made something special. It would only be followed by equal praise for the Monster Manual and DMG. I first realized the PHB was going to be something special when it actively referenced campaign settings and characters that D&D hadn’t acknowledged since TSR was running the show. Birthright, Mystara and even Spelljammer are brought up in the pages of this weighty tome, not to mention settings like Dragonlance, Ravenloft, Spelljammer and Greyhawk. There was a tease of playable Draconian PCs! Tinker Gnomes are a standard race! About the only thing missing were PC Neogis, Vistani and Gully Dwarves…and those will all probably show up down the road. Third and Fourth Edition seemed a bit hesitant, perhaps even embarrassed to embrace all the different facets of Dungeons & Dragons made in the AD&D era. Not so with 5e. It’s embraced it all. Tika Taylan and Artemis Enteris are used as comparison/contrast examples throughout the book as to how different a Fighter/Rogue character can be. How cool is that? Mechanically the game is pretty much the best ideas of the previous four editions with some new twists. Instead of Prestige Classes, you have specialties, which I prefer. The worst part about the d20 era was the literally hundreds of Prestige Classes created, strewn across dozens of books. Specialties are simpler and yet really make a character stand out and feel unique. Feats from 3e still exist but have been modified to where really only the name is the same. The Feats are more role-playing than roll-playing oriented, which is another great touch. I also love the Backgrounds in this game. It’s a nice blend of some 4e aspects melded with 2e AD&D’s Secondary Skills. 5e was just terrific on every level and it reminded everyone of why D&D has been the longest running and most popular RPG ever. There simply wasn’t a better overall rulebook this year. Again, this should not be a surprise to anyone. When one game wins our reader poll with four times as many votes as the closest runner up, you know something big has happened this year. Sure it could be easily to shrug off the popularity and success of 5e in several ways. You could make the claim that people hated 4e so much that this was just people returned to D&D in droves. I don’t know if I buy any part of that statement. You could say people just bought into the hype thanks to D&D Next, but I can’t really believe that either since D&D Next was as much, if not more substance than PR. Besides the Player’s Handbook and Basic Dungeons & Dragons, which already won awards from us this year, look at what else game out for D&D 5e in 2015. We had one of the best Monster Manuals ever. The Dungeon Master Guide was a completely different take on the concept presented in the previous four editions and it was extremely innovative and one of the best looks at GM’ing (DM’ing?) we’ve ever seen. The Dungeons & Dragons Starter Set was one of the best deals this year, allowing you to try D&D 5e along with a mini campaign (Lost Mine of Phandelver) for under twenty dollars. Sure there were things to nit-pick about with each release, but overall the line was a tremendous success, pleasing the vast majority of gamers, reigniting interest (and passion) for Dungeons & Dragons the world over and most of all – giving gamers a fun new way to play the oldest roleplaying game of them all. I think the worst thing we could say about Fifth Edition D&D is that unfortunately one of the press runs had truly terrible binding leaving people with a book that started to fall apart almost immediately. Still, that’s what returns are exchanges are for. That’s an issue with publishing rather than content though. In all seriousness though, we can’t wait to see what else is coming out for Dungeons & Dragons, Fifth Edition. 2014 was the best year the franchise has had in over a decade and if 2015 can be even half as good, Fifth Edition will certainly be contendor for a number of awards this time next year as well. Congrats D&D 5e – you definitely deserved this. So there you go. This has been the Diehard GameFAN Tabletop Gaming Awards for 2014. Whether you agree or disagree with our choices for this year, we hope you’ve had fun reading the piece. A big congrats to all the winners and runner-ups and by all means, please continue to join us here regularly for our reviews and features on all kinds of tabletop gaming products. Who knows? You might even decide you want to write here. After all, that’s the only way you’ll be able to influence the 2015 winners. Yeah I wouldn’t bet money on that. Oh you’ll play…and you’ll wonder how you ever enjoyed life without your fifth level Gnome Bard! MUAHAHAHAHA! Wow, best supplement for “The Secrets of Cats”? I’m blown away – thank you very much! This is a good time to mention that I am in the process of putting together a Kickstarter (with Evil Hat’s blessing) to produce a 10,000 word book dedicated to the animals and threats of the “Secrets of Cats” universe. Yes, that includes rabbits! As well as talking about animals and gribbly monsters I’ve included sample NPCs for each animal and threat and lots of new stunts and magical abilities (including necromancy). Crystal Frasier is on board to supply more of her incredible art and Josh Yearsley has agreed to edit it. The book is already written, and I’m hoping to launch the campaign in the next month or so, once I’ve ironed out what I’m doing with Stretch Goals and got Evil Hat’s feedback on the Kickstarter. If this goes well, I have a final volume in mind for the future which will focus on feline magic, introducing some additional magic skills including illusion and alchemy. Hey, thanks for liking Atomic Robo: The Roleplaying Game so much! Thanks for mentioning Pathways and Adventure Quarterly.